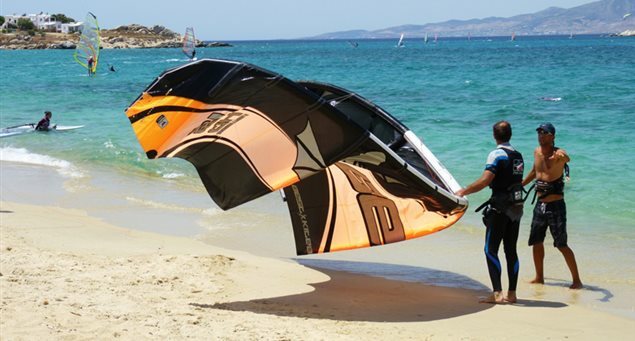 The beaches of Naxos are well-known for the ideal conditions they offer to the aficionados of all sorts of watersports, especially during the summer season’s northerly (meltemia) winds. 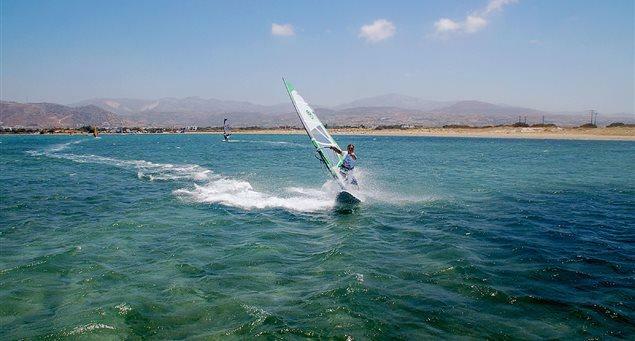 Meltemia, which blow throughout the summer during the day with an average strength of 5 Beaufort, are ideal for windsurfing, making it the most popular watersport on the island. 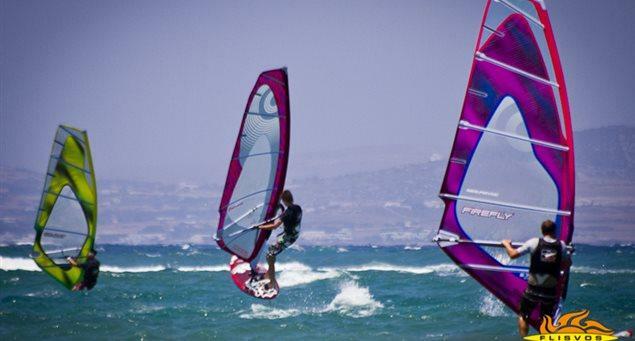 Naxos has beaches for all levels of windsurfing (beginners, advanced, experts), as well as different styles (slalom/speed, wave, freestyle, free-ride). 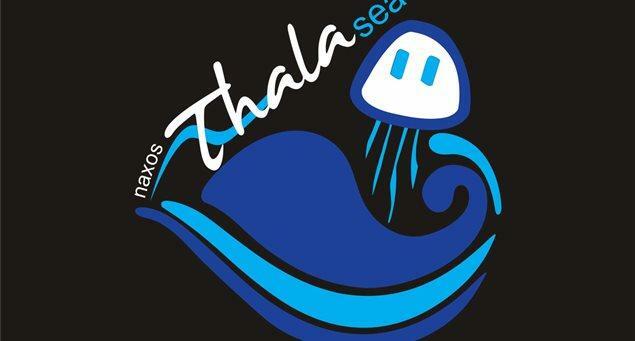 The beaches of Ammitis, Agios Georgios (for meltemia) and Agiassos (for southerly winds) are suitable for the wave style. 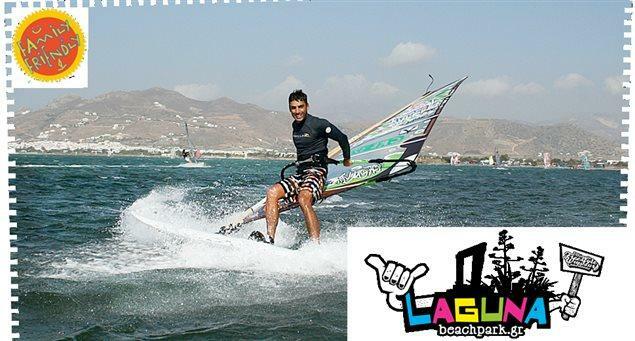 The lagoon of Agios Georgios offers ideal conditions for speed/slalom and the increasingly popular freestyle (with many riders from Greece and abroad choosing the spot for their training). The lagoon, with its shallow and calm waters, is also one of the friendliest spots in Greece for someone to be initiated in the world of windsurfing. The beaches of Agios Georgios, Plaka and Mikri Vigla host organized sports clubs with all the modern equipment for those who want to learn the secrets of the sport. Mikri Vigla, in particular, is an international meeting point for avid windsurfers and kitesurfers. Schools for kitesurfing — a sport similar to windsurfing and increasingly popular — also operate there. 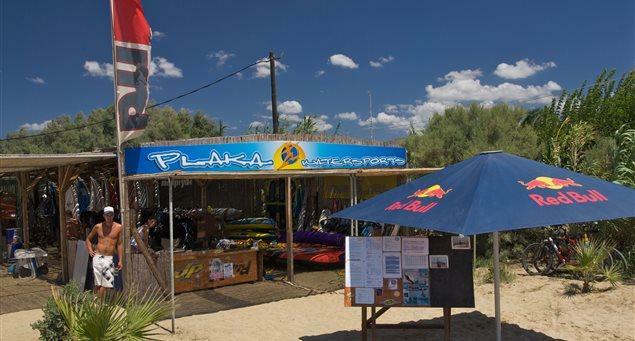 For fans of waterskiing, wakeboarding or water games with bananas and tubes, the organized beaches of Agios Georgios and Plaka also offer equipment for rental that will enable you to enjoy a ride and get a full shot of adrenaline.